Today we pay tribute to a French branch of our global family tree from Normandy who were pioneers of Canada as we salute Aubin Desiré Duperrouzel and Mathilde Eliza Osbert, known as Eliza. Aubin and Eliza had a talent that was greatly appreciated in the burgeoning city of Montréal as Aubin was an accomplished chef and skilled in the art of French cuisine. 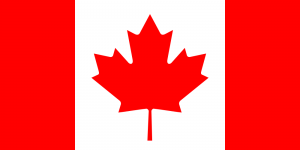 Aubin and Eliza emigrated from France to Canada about 150 years ago soon after the country became a new federation with its own constitution following the signing the Constitution Act formerly known as the British North America Act on 1 July 1867. Their inspiring story and large family tree is available in Chapter 7 of the book ‘PETROSELLUM – A Global History of the Families Dupérouzel / Duperrouzel’. Their 3 surviving children (of 11) Raoul, Marie-Agnes and Marie-Louise inherited their parents’ adventurous spirit and became pioneers of the USA, Haїti and Jamaica. In 2018 descendants of Aubin and Eliza are living in Canada, predominately in Ontario; Toronto, Brampton, Oakville and Mississauga and in the USA; mainly in New York, Pennsylvania, Miami, Virginia and Florida; in Jamaica and the UK.